What they favor instead is the idea that causation rests upon dispositions, and they describe their position as “dispositionalist”: “we should never say more than that a causal situation overall disposes towards a certain outcome” (175). I like the work that Mumford and Anjum do in this book, but I find myself uneasy with the argument in this aspect of their treatment. A causal claim invokes the idea that there is some strong reason in the nature of reality in virtue of which the occurrence of the cause brings about the effect; that it is not a purely accidental relation. And this seems to invoke something along the lines of necessity. Mumford and Anjum take up this question by specifying a strict logical conception of “sufficient condition”: an event or circumstance is a sufficient condition for another iff the occurrence of the first makes it unavoidable that the second will occur. There can be no possible circumstances in which a occurs and b does not transpire. And they point out that causal relations are almost always to some extent defeasible: something can intervene or interfere such that the outcome is foiled. So causes are generally not sufficient in the strict sense for the occurrence of their effects. And therefore, they conclude, causes do not confer necessity on their effects. My issue with their argument is that I don’t think that logical sufficiency captures what causal theorists have in mind when they assert that the cause brings about its effect with some degree of necessity. given a, b occurs as a result of natural necessity. So the sense of necessity of the occurrence of the effect in this case is this: given a and given the natural properties and powers of the entities involved, b had to occur [allowing that causal necessity presupposes normal conditions that may be absent and interfere with the production of the outcome]. In The Cement of the Universe: A Study of Causation J. L. Mackie accounts for the fact of the common non-sufficiency of causes for their effects by analyzing causation in terms of INUS conditions (“insufficient but non-redundant parts of a condition which is itself unnecessary but sufficient for the occurrence of the effect”); none of the individual events or conditions is separately sufficient for a given effect. This is one way of treating the issue of ceteris paribus clauses or conditions — those conditions that we hold fixed in expressing general causal claims. This issue is especially important when we consider the “powers” approach to causation — the idea that things have the power to bring about certain kinds of effects in virtue of their inner constitution. (The powers approach is extensively discussed in Greco and Groff, Powers and Capacities in Philosophy: The New Aristotelianism, a volume to which Mumford and Anjum are contributors.) This approach has the virtue of making a place for the notion of necessity that seems appropriate to me in talking about causes; and it is a sense that does not imply logical sufficiency or exceptionless sequence. A power is not expected to exercise its properties without exception; rather, it is understood that there are conditions that affect the workings of the power and may interfere with its effects. Here is a fairly intuitive way to talk about causation: our causal judgments rest upon assumptions about how things work — what the governing processes and powers are that make up the medium of events and provide the connective structure between cause and effect. 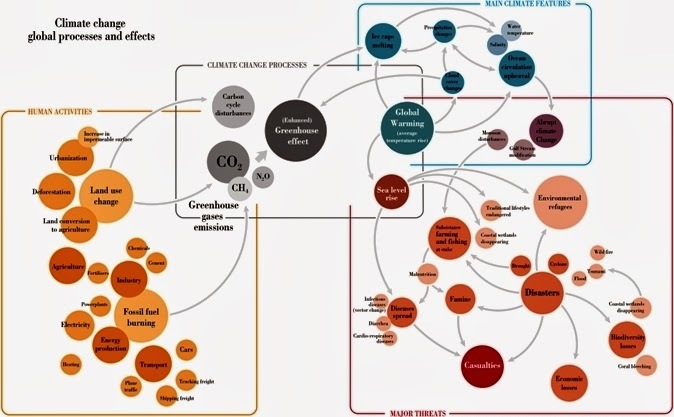 There is a substrate for any particular domain of causation, and the substrate embodies some features of activity and causal connectedness. It is this causal activity that gives rise to the reality of causal powers attached to things. Given how domain X works, whenever A happens, it triggers a stream of events that lead to B. And this in turn indicates why causal mechanisms are such a logical contribution to the analysis of causation. A causal mechanism is one chunk of this “stream of events” leading from A to B. Given a social environment populated with actors something like this and embodying rules and institutions something like that, change A brings about outcome B [through the actions of these ordinary actors]. This does not invalidate the notion of causal necessity sketched above for social causation. The point remains valid that there is a substrate to the social world [socially constituted and situated individuals doing things within specific rules and practices] and this substrate does in fact convey a change at one end of a causal process [A — a change in the rules of supervision in an organization, let us say] to a change in the outcome [B — less petty corruption within the organization], through a series of events that are systemic enough to allow us to see the “necessity” of the transition from A to B. Given the underlying nature and constitution of the substrate of the field of action and given the constitution of A, we can uncover the active and provoking transitions through which A leads to B in a non-accidental way. This conception differs from both apparent alternatives — the unvarnished contingency that Hume asserted for causal linkages and the deterministic “If A then B necessarily” logic that some theorists would like to see.